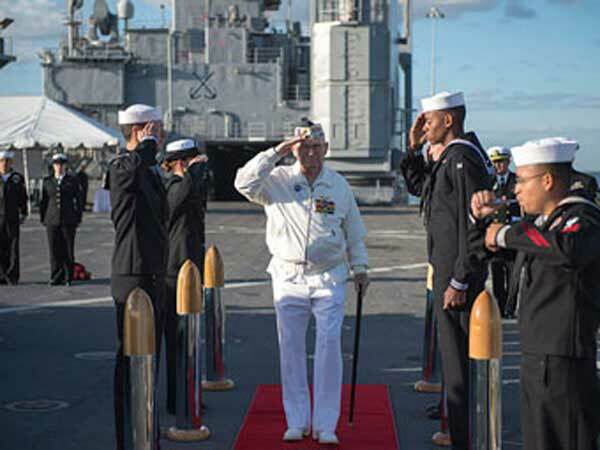 Survivor of D-Day attacks Captain Jack Evans salutes sailors on USS Pearl Harbor. Pearl Harbor Remembrance Day for the year 2019 is celebrated/ observed on Saturday, December 7th. Saturday, December 7th is the 340 day of the 2019 calendar year with 7 months, 13 days until Pearl Harbor Remembrance Day 2019. When is Pearl Harbor Remembrance Day 2019? When is Pearl Harbor Remembrance Day 2020? When is Pearl Harbor Remembrance Day 2021? When is Pearl Harbor Remembrance Day 2022?